We are offering Steel Cladding Sheet to our clients. 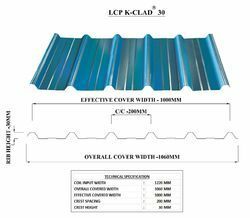 Owing to the wide experience of the domain, we are instrumental in offering Cladding Roofing Sheet to our clients. Roofmax Roofing and Cladding Sheets are excellent corrosion resistance and have become the most preferred material for wide range of construction. These are cost effective and technically stable. We are offering Profiled Steel Roofing and Cladding Sheets. 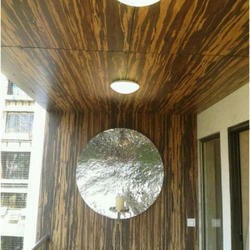 Our company has created niche in the field of offering Wall Cladding Sheet. We supply stable and durable grade cladding sheets which are the perfect choice for industrial roofing solutions. These are very stable and durable. These are multi coated and leak proof. Avail various colurs and types of cladding sheets at competitive cost. We have carved a niche amongst the most trusted names in this business, engaged in offering comprehensive range of Cladding Roofing Sheet.